The current focus of the majority of humans, including those in leadership positions, is metrics. Metrics, put simply, is numbers. Quantity – how much – is increasingly valued over quality – what kind. We humans have, in general, bought into an erroneous – with often disastrous results – more, more, more shallow and indefensible mindset that deceives us into thinking that the bottom line of success is determined by a numerical value. We see this attachment to and preoccupation with metrics, to the total exclusion of quality, everywhere in our lives. In our personal lives, we focus solely on having a lot of money, having a lot of things, doing a lot of things, and living a lot of years. Because numbers are what we care about, we will – and do – sacrifice quality – and integrity (truth, honesty, and moral excellence) – to get quantity. In our organizational lives, the endgame is having a lot of money (profits and income, personally and organizationally) and having a lot of customers (who presumably will bring us more money). Again, because numbers are what we care about organizationally , we will – and do – sacrifice quality – and integrity (truth, honesty, and moral excellence) – to get quantity. Most of what we take for granted as our everyday world is based on metrics. The internet, for instance, is a numbers game, both on the back side that most of us don’t see (everything’s manipulated using a numerical foundation, from web analytics to search engines to the actual bits – the 0 or 1 structure – that define the code that runs every part of the internet) and the front side that we do see. Modern project management is another example of a metrics-based system. In the end, numbers are what matter: time and output. Numbers are not unimportant. However, they are only important in the context of quality, not quantity. This is what quintessential leaders understand and that is why they realize that the process is the key to real, verifiable, and sustainable successful outcomes. 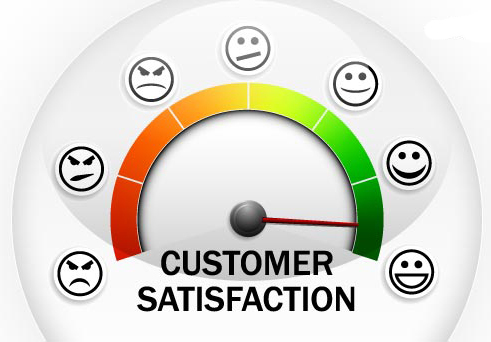 If our processes are comprehensive, well-defined, and well-implemented, then the quality numbers will follow. Quantity is just quantity. One of the most maddening things about modern life is this desire to have quantity of life versus quality of life. It makes no sense. Who in their right mind wants to live extra years if those years have no quality? To me, that would be far worse than death. Yet, that is exactly what modern medicine is designed to and strives to achieve. We buy lots of stuff – way more than we could ever use or need – simply to have it and to have more than anyone else. Yet most of what we buy now is cheaply made so it doesn’t last and we keep having to buy more because the quality just isn’t there. It would be far less expensive, in the long run, to buy less but high-quality things that would last over time and to buy only what we absolutely need. But consumerism and materialism, which we’ve, in general, wholeheartedly bought into, is also a numbers game. In the organizational context, quantity, in general, has become more valuable than quality. Because of this shift in focus, many people in leadership positions overlook or completely ignore the key element of quality: the process. Succumbing to the superficial and, in the long run, meaningless numbers (metrics) game has led to lots of quantity, but very little quality in most organizations. Quintessential leaders, on the other hand, put the process, which ensures quality (and, in the long term, produces viable, sustainable, and meaningful quantity) first and keep that in focus at all times. Too often, those in leadership positions blame people when things are not working well or not working at all. The reality is that if things are not working well or working at all, then the problem is really with the process and that is what needs to be reviewed and either revised or redone altogether. When the process is the key to everything, then the focus is on quality first. The simple reason that most people, including those in leadership positions, don’t make the process the key factor in successful outcomes is because a good process requires a lot of time, effort, planning, and training up front to implement it successfully. This means, in practical terms, that numbers (metrics) are slower in materializing. Because we’ve become a metrics-based society, this “slow start” is unacceptable. However, the numbers that come quickly without a process of any kind, with a poorly-defined and poorly-implemented process, or with the wrong process lead to long-term negative and, often, unrecoverable failures as outcomes. 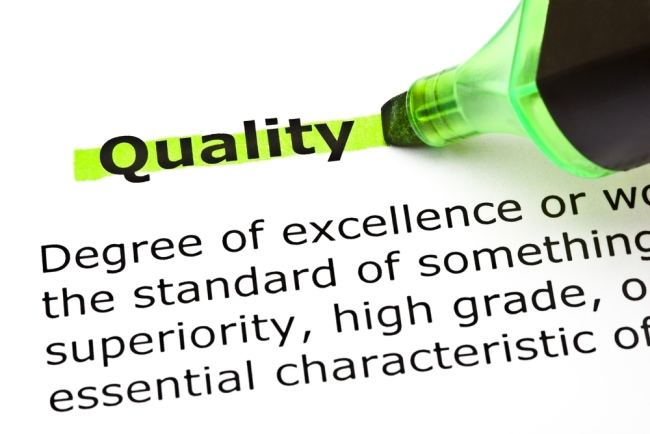 So what does having the process as the key to quality look like for quintessential leaders? The project is well-defined with detailed planning agreed upon by all the stakeholders and thoroughly documented before the project begins. In other words, the process is delineated up front and all parties involved are in complete agreement with the scope, the work, the execution (the how), the timeline of execution, and the outcome. It is here that no stone must lay unturned and it is here that the details must be hammered out and consensus reached on each of them. Once the process is defined and documented, then the people executing the process must be thoroughly trained (i.e., walked through the process step by step to understand it and be able to do it consistently and correctly) in using the process. This takes time and effort, but it is the most critical (but most often ignored) part of ensuring quality. When people understand what they’re doing, why they are doing it, and what successful completion looks like, they become invested in the process and invested in quality outcomes. When people are simply trying to hit metrics targets, they care only about numbers (quantity) and not the process (quality). Throughout the project, the process is monitored and reinforced to ensure that it is the focus of each of the people involved in the project. 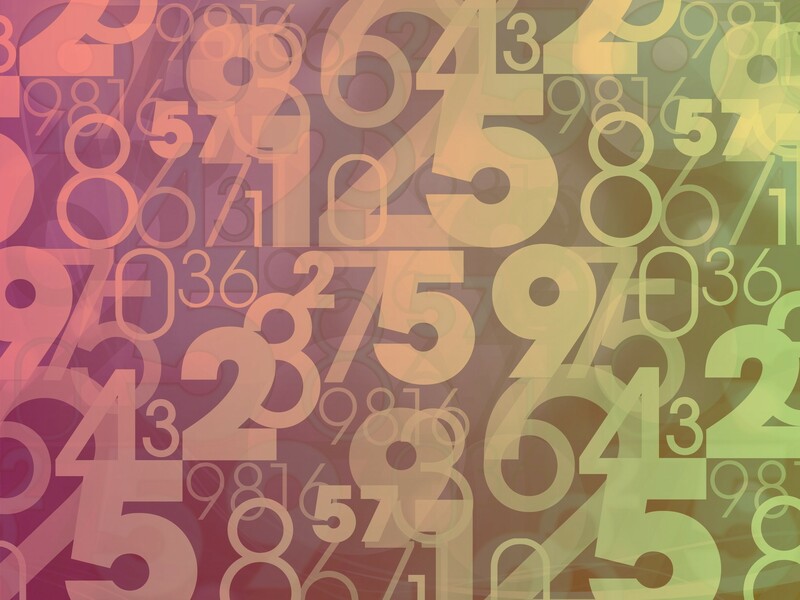 Numbers (metrics) are never the goal, although with a great process that is implemented well, numbers will meet and exceed objectives further along in the project, but they will be quality numbers, not just quantity numbers. The process as key ensures a successful and quality project completion. This includes satisfied customers who will come back again and again because they know they will get the quality results they expect, not just quantity with no inherent quality. As we strive to be quintessential leaders, we must look at ourselves to see whether we have the process (quality) as the key to every aspect of our lives professionally and personally or we have fallen in the numbers (quantity) trap as a way of being. We must ask ourselves if we’ve become focused on “how much” instead of “what kind.” We must ask ourselves if we even care about quality anymore. We must ask ourselves if we’re willing to make the intense upfront effort to ensure quality in every aspect of our lives. In many ways, quintessential leaders now swim against the tide in this area of life. That swim is worth it in the big picture and in the long term. Unfortunately, because of the effort, the diligence, and the commitment – sometimes in the face of fierce opposition – it seems fewer and fewer of us are willing to make that swim consistently and continually. Many organizations have adopted a rental model in filling professional positions that require extensive knowledge and experience, as well as in-depth training to get up to speed on the particular projects that these contract/temporary professionals will be working to complete. The current model of employment looks more like an inventory model (just-in-time) than a well-thought-out business model. It is certainly not a quintessential leader model. The pros look attractive to organizations from a short-sighted upfront monetary point of view. Organizations don’t have to deal with the financial and physical overhead of a competitive salary, benefits, a permanent workspace and equipment, and payroll costs (most contract/temporary employees are either paid through a staffing agency that handles payroll or via a 1099 that makes the employee responsible for their own taxes at the end of the year) that a full-time employee incurs. So, in the short-term, organizations, at least on paper, look like they’re saving a lot of money using contract/temporary employees. 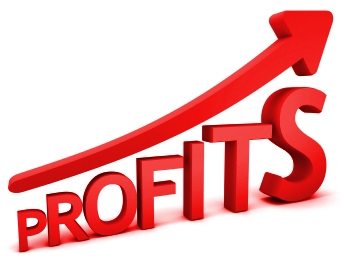 Profits are higher. The board of directors is happy. The shareholders are happy. The executive officers are happy. But the cons, which affect the long run, will eventually make everybody unhappy, and if this current trend lasts several decades, many of these organizations will not exist. Whether an organization hires a permanent employee or a contract/temporary employee, the same upfront investments have to be made. Because they don’t get translated in monetary terms, they don’t get factored into the cost of having a predominantly constantly-changing contract/temporary workforce. One of those upfront investments is training. For professional positions, the training can be quite extensive (or it should be – too often the training is haphazard and poor, with the contract/temporary employees thrown in and left to fend for themselves, which causes delays, errors, missed deadlines, and project failures). Generally, organizations do the same kinds of projects over and over. The details change, but the scope and type of projects is the same. 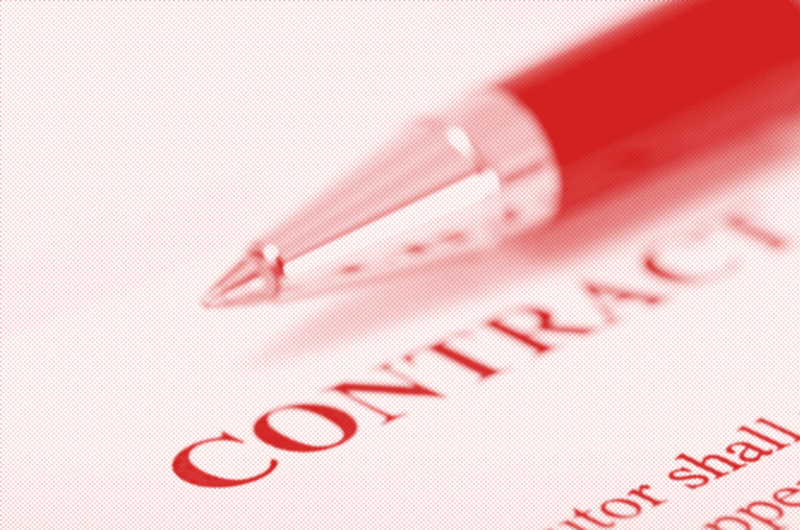 Typically, contract/temporary employees are hired for a single project and then they are gone and all the knowledge and training they have goes with them. This means a new batch of contract/temporary employees must be hired for the next project and the same investment in training made all over again. Only to walk out the door when the project is over, meaning this cycle happens over and over and over again. This is an undocumented cost, but it is huge in the long run. Projects are affected dramatically in terms of productivity and milestone/deadline timeliness, as well as in terms of quality of service. The net effect is the projects don’t get completed on time, they don’t have a consistent standard of quality, and customers end up unhappy because they don’t get what they paid for. This con is lost business both in existing customers who go elsewhere and new customers who don’t show up because they’ve heard quality and service is inconsistent at best and bad at worst. The long-term con of hiring contract/temporary employees on a project basis instead of hiring full-time, permanent employees is that eventually there will be no customers and the organization will be forced to close. The secondary long-term impact (con) of an organization closing is that everyone who is a full-time, permanent employee, from the corner offices to the cubes, will no longer have a job. Additionally, shareholders will lose their investments. And the board of directors won’t have anybody to direct. Quintessential leaders understand that people – not money or things – are an organization’s most valuable resource. They can – and will – make or break an organization. Therefore, quintessential leaders know people are the most important investment that an organization can make in the long run, so they invest in full-time permanent professional employees to ensure that a quality and lasting infrastructure is in place to provide consistent, quality, and constantly-increased value-added products and services to existing and new customers. Money comes and goes. Things work and then they don’t. These can be easily and seamlessly addressed and replaced with very little impact on operations. However, it doesn’t work that way with people. People alone can increase the worth, the quality, the reputation of an organization. People have experience and knowledge and are able to add to those to bring even more worth to an organization. When people are a revolving-door commodity, as in the case of most organizations now, increased experience and knowledge walk out with each project, and each next project is basically like starting all over again. But this cycle gets repeated again and again with the contract/temporary professional employee hiring model. It makes no sense to use an inventory model as a business model, especially when the cons (and actual costs) far outweigh the pros in the long run. It is more evidence that there are very few quintessential leaders in decision-making positions in most organizations. Because if there were, we would not see the contract/temporary professional employee model that most organizations are using, because they’d have the vision to realize what the long-term costs and outcomes would be. What kind of professional employee model do you and your organization use? Do you know the investment costs and the long-term costs of the model you use? Is talent, knowledge, and experience walking out the door every time projects are completed? It’s time to carefully consider these things.